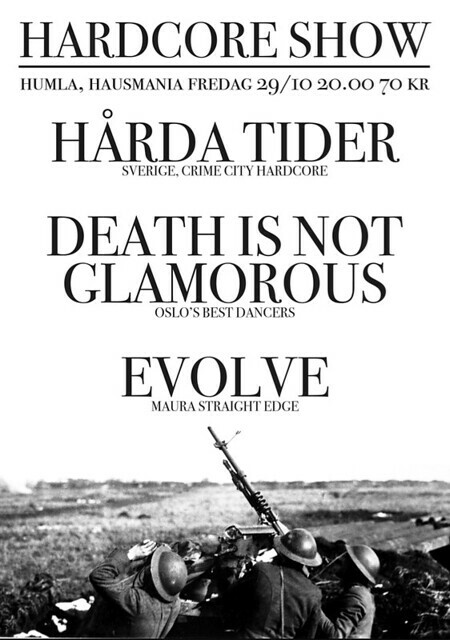 The new Hårda Tider record is ripping! Go buy it! On Sunday 31st, 17:00 at Blitz, Nettverk for Dyrs Frihet (Animal Liberation) are celebrating 3 years in existence. Join in for a good time, good cause, good food, and to participate in the traditional bingo lottery, where you can win tickets to lots of killer shows with bands like Black Breath, Summon The Crows, Okkultokrati, and Integrity! Later on Sunday evening, Black Hole Crew members Dark Times are playing Cafe Mono together with Gun Outfit!